The Ole Miss soccer team plays the final game of its spring season tonight in Oxford. The exhibition match against the Memphis Tigers will kick off at 7:30 p.m. at the Ole Miss Soccer Stadium. Memphis was No. 2 in the American Athletic Conference in 2018 with a 17-4 overall record. The Tigers also hosted the first round of the NCAA Tournament but lost 3-0 to Wisconsin. The Rebels are led by nine-year head coach Matt Mott, who received a four-year contract extension at the beginning of the semester. Mott is 92-71-20 in his time in Oxford and has two back-to-back NCAA Tournament trips. The spring schedule has provided an opportunity for the Rebels to play high-level competition in low-stakes atmospheres. LSU and Samford both traveled to Oxford to play, while the Rebels traveled to Franklin, Tennessee, and Conway, Arkansas, to play Louisville and Arkansas, respectively. 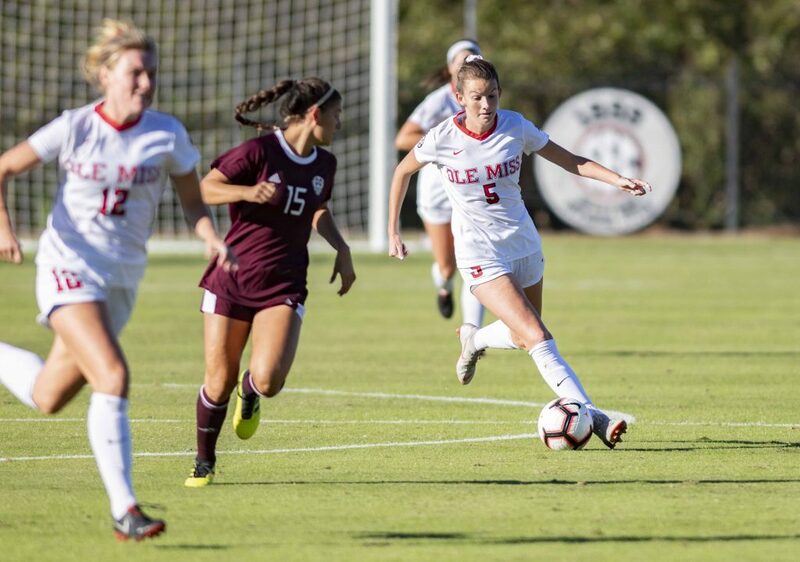 One Ole Miss soccer alumna who could not attend the alumni game was CeCe Kizer, who has been working to prepare for the start of her professional career since her final season for Ole Miss ended in fall 2018. Kizer was selected 13th overall in the 2019 National Women’s Soccer League Draft. She was selected by the Houston Dash and will gain experience and playing time as the NWSL season begins at the end of April. Current team members have also had success outside of Oxford. Sophomore forward/midfielder Channing Foster was selected to play for the U.S. Women’s National Under-23 Team in spring 2019 at the Thorns Spring Invitational in Portland, Oregon. The current roster, along with Foster, will have big shoes to fill in the upcoming fall season, as they lose seniors Kizer, Marisa Kutchma, Mary Kate Smith, Ella Frischknecht, Tara Sullivan and standout goalkeeper Marnie Merritt. Mott turned in an impressive recruiting class at National Signing Day during the winter. Ole Miss signed nine incoming freshman, including Saydie Holland from Sycamore, Illinois, and Morgan O’Connor from Oxford, to contribute to the team in the 2019 season this fall.